I hope we are getting the coin machine with this update. It’s hella expensive to travel to Exo planets. Need some way to generate more coins. Can’t set up a portal with out a beacon can you? I plan on getting everyone I play with to chip in and warp at the same time. Darn, never thought of that. I hope they built in some kind of loophole. No way I could afford warping there more than a couple times, depending on the cost. That could actually lead to some fun. 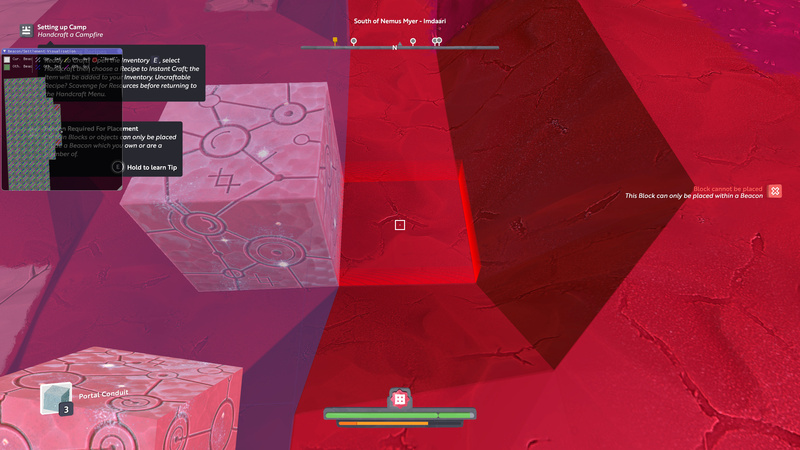 The mods should add a master portal to each of the exo-worlds that spawns in a random location in the permanent planets. The first rush would be to find the portal. From what a dev said(maybe in the notes I’ll have to check again) but we can build stuff but since there’s no beacons anyone can grab it. And there’s no regen so it should stay without disappearing. Does a portal require a beacon? No clue never tried to place one outside a beacon. Tho from how I took the comment we could place whatever down on an exo but have to be wary since anyone can break it. I could be totally wrong and just reading into what was said too much. Since I don’t have a pc copy I didn’t get a chance to test it out. I don’t know if anyone else tested things like that. Good thing about a portal is that it can’t be broken. Pretty sure portal conduits need a beaconed area to be placed. Quick, someone at home, test it please! Anyone can interact with it, close it, and then break it. Only the person who opens a portal can interact with it, I thought? I would be surprised if that was the case. I can say for sure it’s not the case. I’ve closed several on scav beacons. Oh, I didn’t think think that mechanic had anything to do with the beacon. I just hope this is something I’ll be able to enjoy. I just want new mats. Gleambow was far too much of a pain in the oort. My big concern is that my miner or gatherer wont last 5 seconds. Again no one has really talked enough for my liking on everything they have tested. Too much was focused on being upset about the rock change. Even tho testing new features etc should have been the focus and giving knowledge to those of us who can’t test.